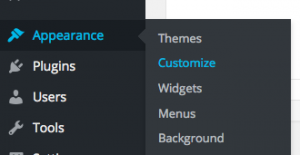 ModernThemes has taken initiatives to start using native WordPress options. If users know exactly where to go each time, they will find using WordPress a much more desirable experience. Follow along with the video above to set up your Gridsby WordPress theme. Every section and feature can be populated in under half-an-hour and gives you a website that you can be proud of. Use this tutorial to customize your website, and grow your online presence in a way that you never thought possible.